If you have a very small company with only a couple checking or credit card accounts (designated solely for your business) and don’t want to pay for QuickBooks, how can you keep track of your financial records? You can use an excel spreadsheet to record your sales and expenses. 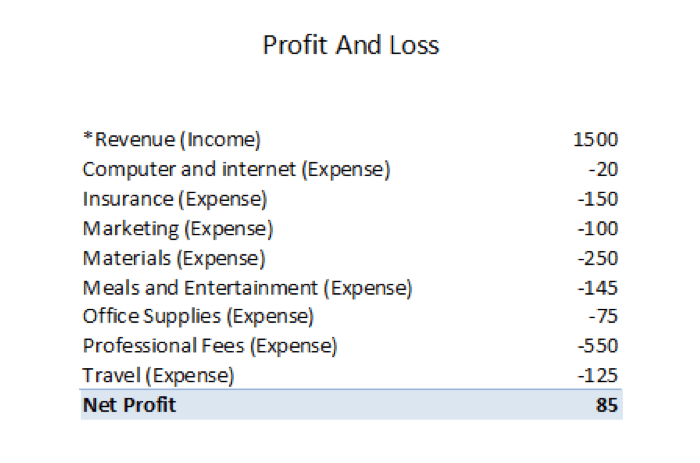 You don’t want to give up the ability to see what your profit is so we have put together a helpful spreadsheet that will convert your bank information into a Profit & Loss Statement. With our spreadsheet, your transactions above are converted automatically into the P&L below.